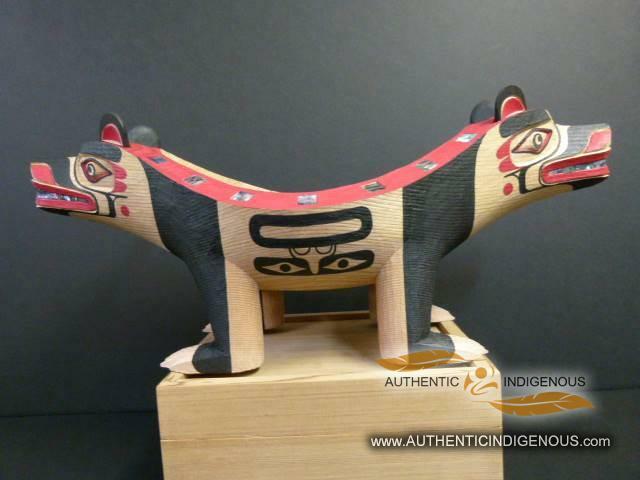 When I carve something, I am claiming the rights to it for myself, for our children and for all Kwakwaka’wakw people. We are the ones who own it. I realize that what I am carving comes from my culture and I believe that what I create is cultural art and it is my job to educate the public about my culture as much as I can to keep it alive. Richard Hunt was born in Alert Bay, British Columbia in 1951. 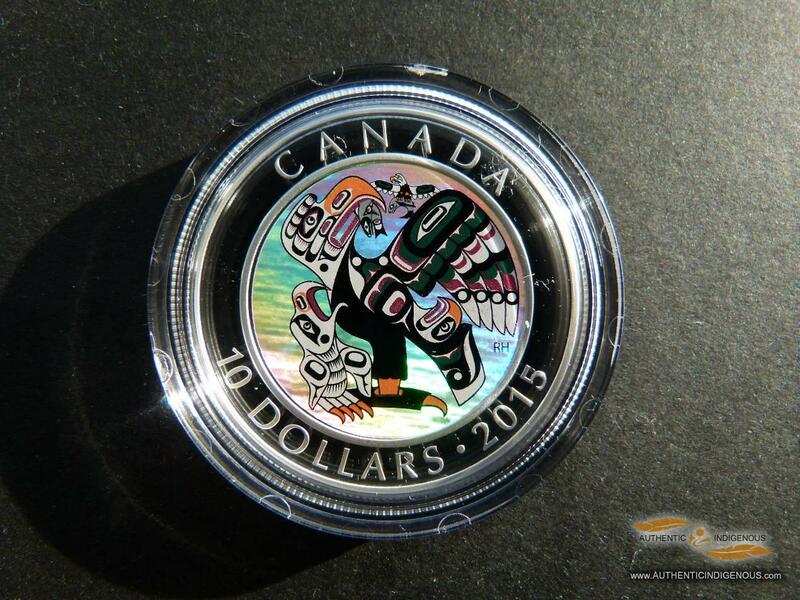 Richard is Kwakiutl and is from T’sakis (Fort Rupert, BC). Richard Hunt’s Kwakwala name is highly appropriate, considering his accomplishments. 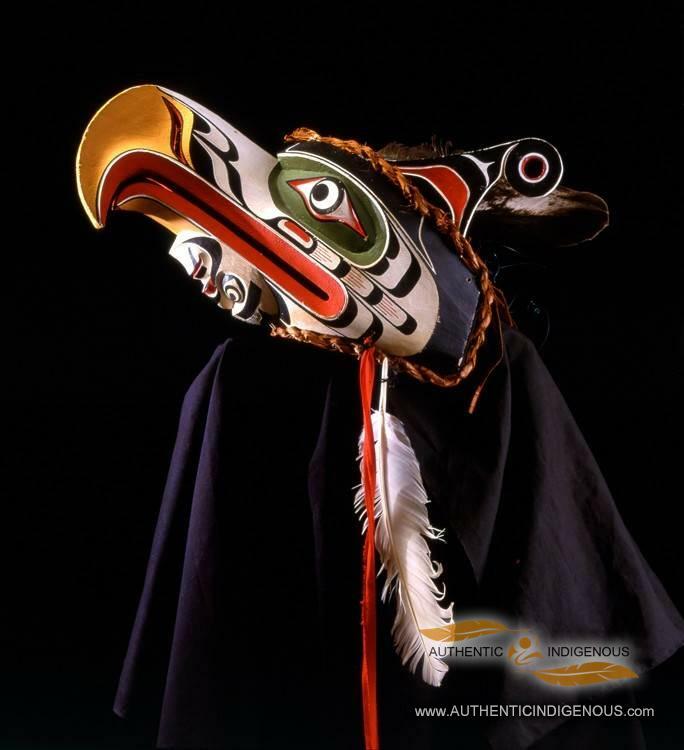 Gwe-la-yo-gwe-la-gya-lis means “A man that travels and wherever he goes, he potlatches.” Through his art, his speaking and his dancing, Mr. Hunt has indeed given much to the world. Richard’s mother was Helen Hunt; her maiden name was Nelson (Kingcome). Richard comes from a family of internationally respected artists, which include his father Henry Hunt, his grandfather Mungo Martin, as well as his brothers, and his cousins. He has lived most of his life in Victoria, where he completed his high school education. He began carving with his father, the late Henry Hunt, at the age of thirteen. 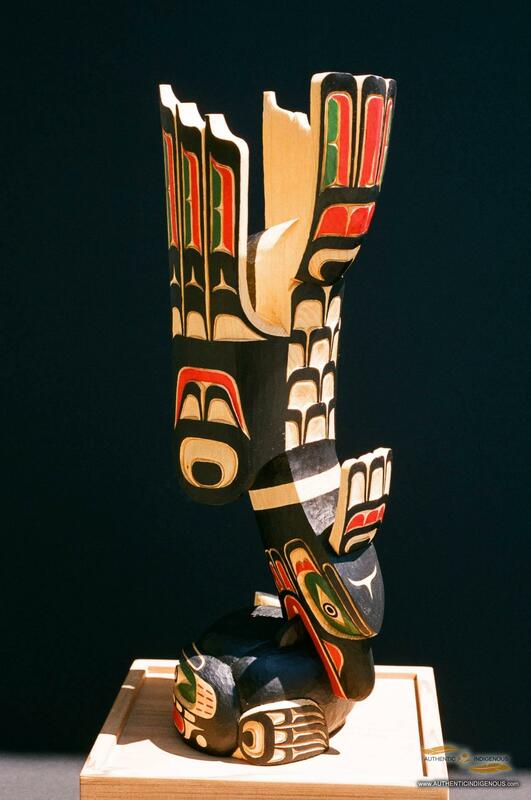 In 1973, Richard began work at the Royal British Columbia Museum as an apprentice carver under his father. The following year he assumed the duties of chief carver in the Thunderbird Park Carving Program. Richard continued in this role for twelve years. In 1986, Mr. Hunt resigned to begin a new career as a freelance artist. In 1991, Richard Hunt received the Order of British Columbia “… In recognition of serving with the greatest distinction and excellence in a field of endeavor benefiting the people of the Province of British Columbia and elsewhere.” This prominent award program was established in 1990. Richard is the first Native artist to be so recognized. In 2002, Richard received the Golden Jubilee Medal, the approved creation of Her Majesty Queen Elizabeth II in honour of her 50th anniversary of Her accession to the Throne, and presented to citizens of Canada “who have demonstrated exceptional qualities and outstanding service to their country”. In May 2004, Richard was accepted into the membership of the Royal Academy of the Arts in recognition for his outstanding achievements within the visual arts. In June 2004, Richard received a Honourary Doctorate of Fine Arts from the University of Victoria. This prestigious award has a special meaning to Richard because his late father, Henry Hunt was awarded the same degree in 1983. 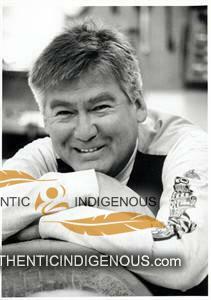 In October 2009, Richard received the BC Creative Achievement Award for Aboriginal Art. “By interpreting what they see, what they experience and their great cultural traditions, these artists provide a gift to all British Columbians through their artwork,” said Premier Gordon Campbell. In March 2012, Richard received the Queen’s Diamond Jubilee Medal, created to mark the 60th anniversary of Her Majesty’s accession to the Throne, and is presented to citizens of Canada “who have demonstrated exceptional qualities and outstanding service to their country”.